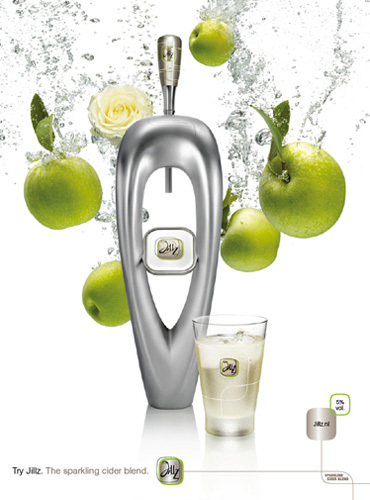 Heineken’s Jillz sparkling cider was first introduced to the Dutch market in 2008. Target audience: women 24-35. Task: generate trial. To this end, we devised a viral campaign around a sophisticated online app called Datemaker, which allowed you to send your friends a video of a good-looking, cheeky barman who’d blatantly make a pass at them and then ask them on a date (Datemaker videos are featured under ‘Come bite my apple’). Users could pick a barman from a ‘dream-team’ of four guys. Each video ends with one of the guys slipping the friend a beer coaster with the place – a Jillz-serving bar – and time of the date written on it. Videos could be personalized to the extent that a barman would actually pronounce the name of the friend (the database contained about 1500 female names and 1000 male names). NB: Datemaker videos featured on this site, contain only the generic salutation. To check out Datemaker for real, go to the Jillz website and click the ‘seduce your friends’ button on the home page. Client: Heineken – Pascal van Ham, Baukje ten Herkel, Anne-Marie Delfgaauw. Agency: Muse. Director: Antoinette Beumer. Producer: Machiel van der Heijden, Michael Littaur. Web: Us Media. 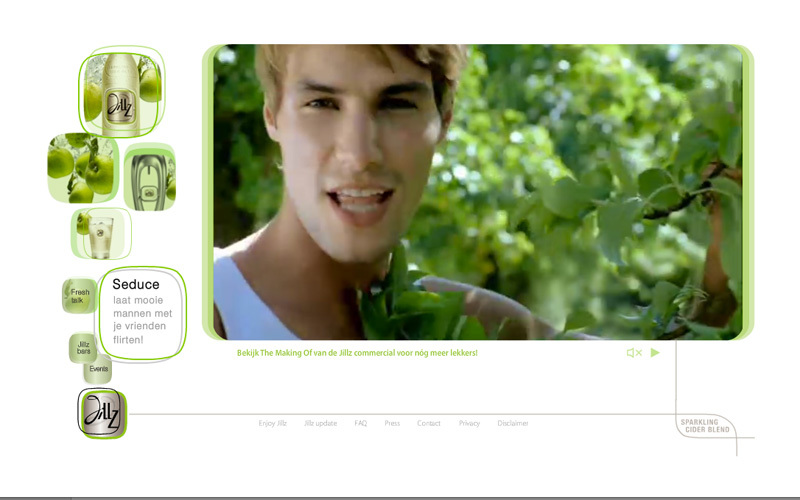 Strategy / Concept / Art Direction: Wencke van Amstel. Strategy / Concept / Copy: Olaf Zwetsloot. 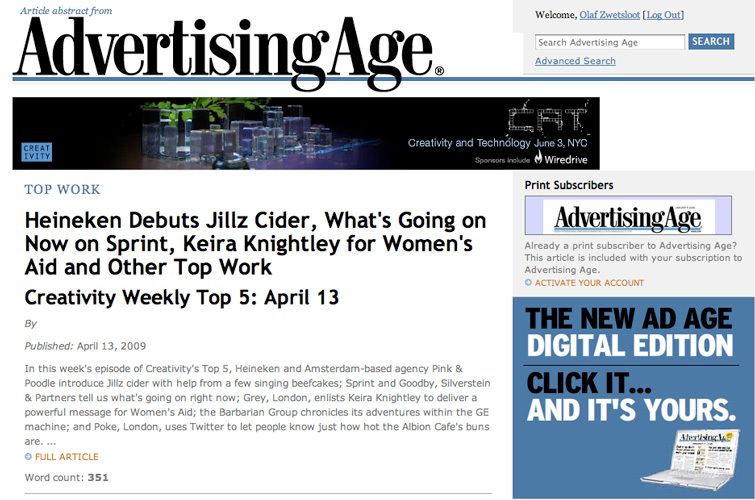 Phase 2 of the introduction campaign featured a TV commercial with yet another all-male dream-team. The commercial, or rather, music video, based on Kool & the Gang’s ‘She’s fresh’, is an intricate piece of applied psychology. 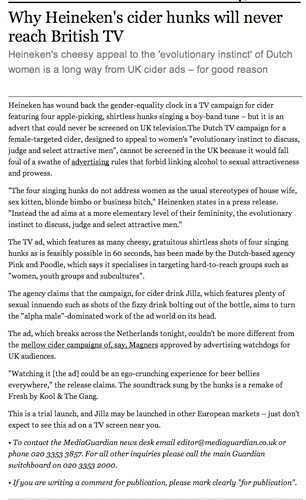 Client: Heineken – Pascal van Ham, Baukje ten Herkel, Marélie Steensma, Anne-Marie Delfgaauw, Ralph Rijks. 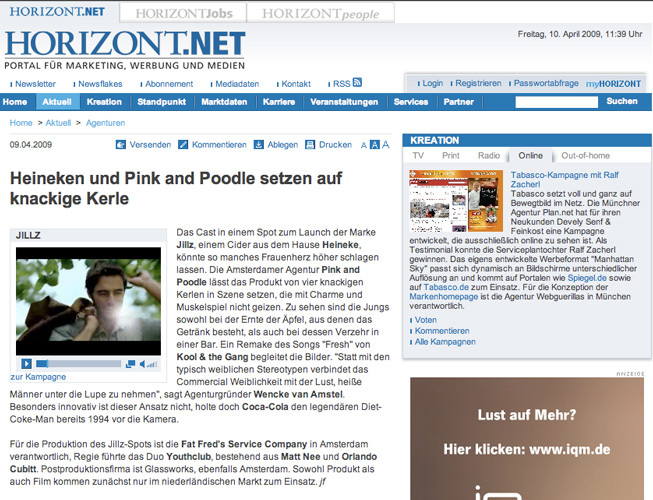 Agency: Pink and Poodle. Director: Youth Club (Flynn Productions). Producer: Suzanne Huisman, Jones Kuhne, Emily Scott (Fatfred’s). Editor: Martin Heijgelaar. Music: Steven Craenmehr (Massive Music). Web: Driebit. Photography: Marcel Christ. Post-production: Glassworks. 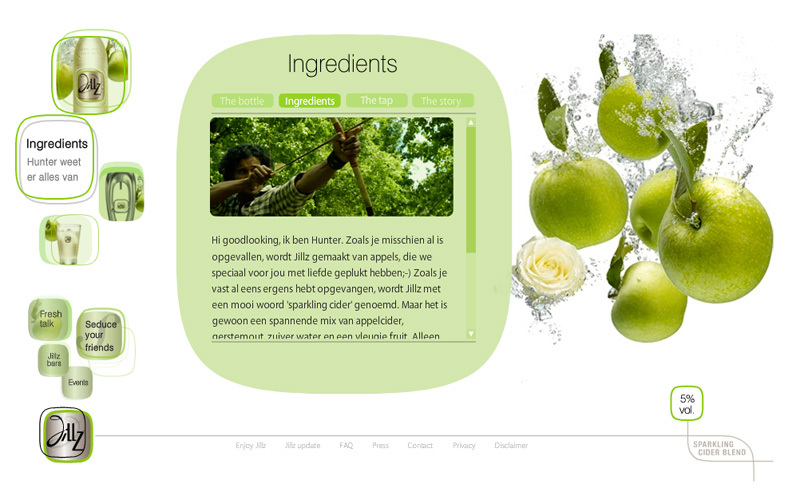 Strategy / Concept / Art Direction: Wencke van Amstel. Strategy / Concept / Copy: Olaf Zwetsloot.